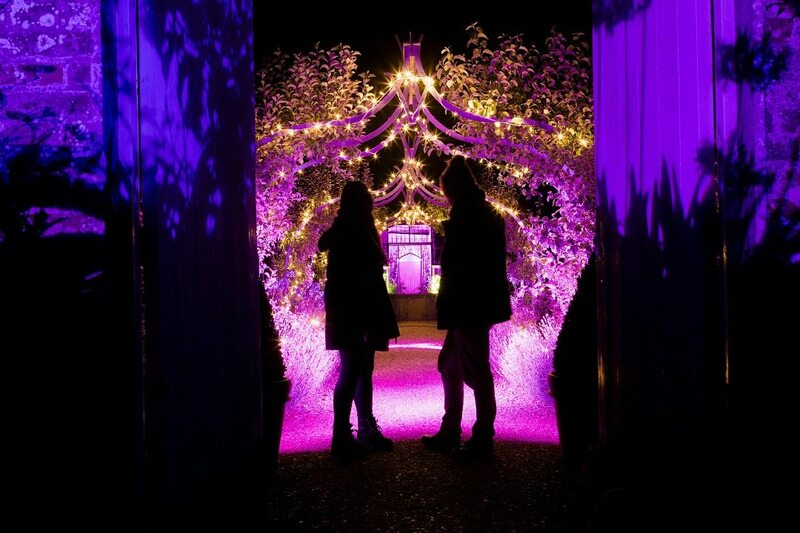 Audley End is enchanted through-out the year, but this year there is something special happening in their gardens in England; something even more magical than usual. English Heritage are putting on spectacular events in the winter to take advantage of the shorter days, and the showcase their wonderful properties in a new and inspiring away. We present to you – the ENCHANTED EVENTS in the most beautiful houses and gardens in England. 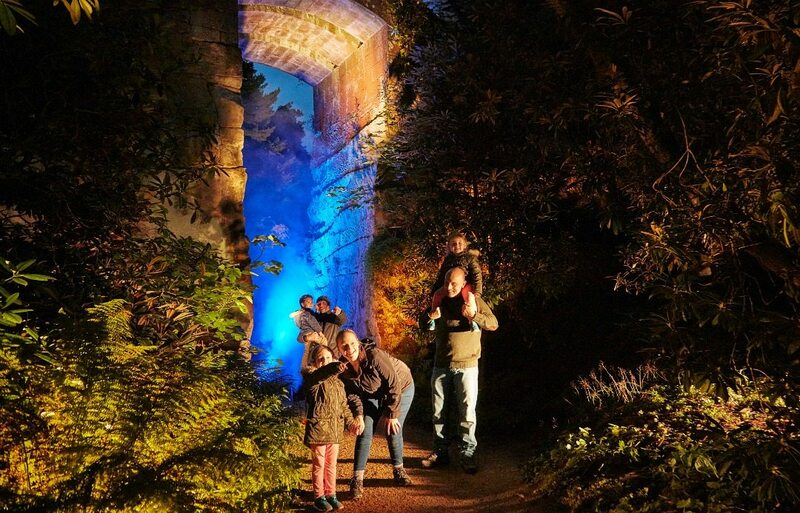 Amble through trees adorned in lanterns, and duck through arches twinkling with fairy lights to experience something truly unique with your family. It isn’t just about the garden, either. After your walks, you emerge from the trees into a traditional fairground, where you might even be able to indulge in the odd mince pie, or even a spot of mulled wine. The events are to take place from the 15th to the 23rd December, just to get you in that perfect Christmas spirit. Audley End is one of the locations for the Enchanted events, but English Heritage are showcasing properties across the country. It is advisable to book tickets in advance because the gardens do have a limited capacity, and we wouldn’t want you to turn up, only to discover that it isn’t possible to enter the gardens. We would love you to experience these unique events, so to help we are giving away a family ticket to the Enchanted Event of your choose. Family tickets at Audley End are £31.60, and they do vary slightly in price depending on the location. This really is a lovely prize to start your Christmas off in a superbly unique and inspiring way. A night your kids will always remember. All you need to do is visit the Enchanted Events site, and take a look at all of the wonderful locations where the events are happening in December. We would then like to know which one you would like to do to and why. For additional entries, why not share the event with your friends. If someone then enters the giveaway through that link, we will give you an extra entry point – up to ten more entries for ten friend! 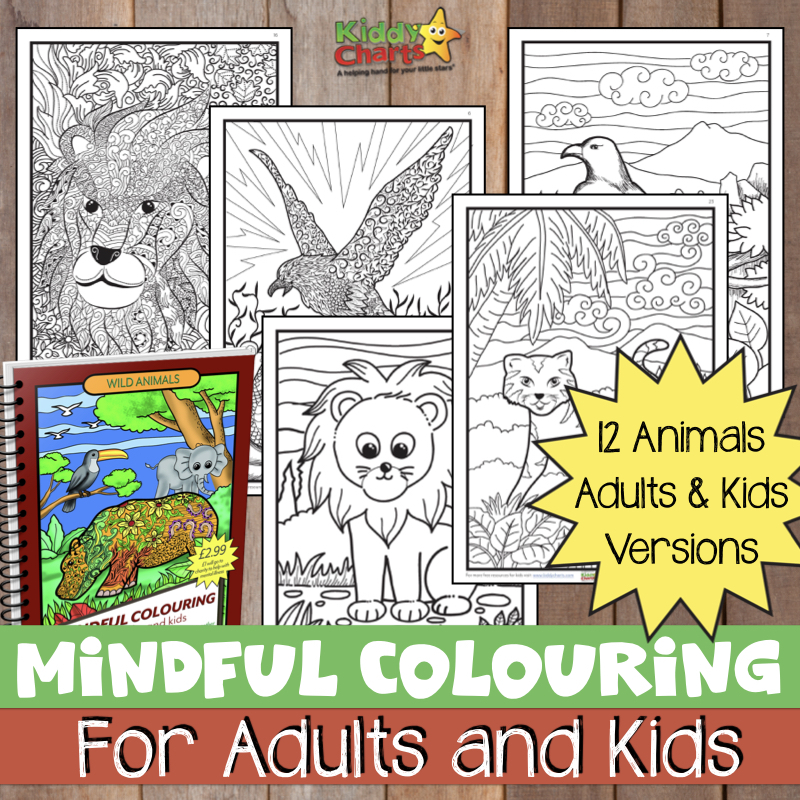 Use the Gleam wudget below to enter the giveaway, so we can keep track of all the entries, and capture your details so we can get hold of you; should you win. This competition is open for two weeks, so hurry up, as otherwise you might just miss out on all the magic; we close trny on Tuesday 31st October at 11.59pm *spooky*! ;-) Usual terms and conditions for our giveaways apply. The prize is only entry to the event for a family (two adults and two children), and does not include travel. Good luck everyone, and don't forget to check out the events, so even if you don't win, you won't miss out on sharing the magic with your family. Thanks for this, had no idea these were happening! Hoping to get to visit Brodsworth Hall now, excited that it’s not just southern locations! Enchanted Eltham Palace looks like a lot of fun! I would choose Belsay – it looks amazing! Kenilworth Castle is just down the road! Brodsworth Hall is the closest one to me by the looks!! Belsay Hall, because it looks brilliant! Kenilworth Castle – we love visiting here and would be fab to visit after dark. Brodsworth hall looks lovely and only a 50 minute trip from us, Definitely worth it when you see the looks on small faces at the enchanted walk. My three would definitely love it. Enchanted Eltham Palace looks great. I would love to visit Enchanted Osborne because we live in Portsmouth so we could just get the ferry over. I would love to take my children to see this magical place because the two oldest (5 & 4) are now old enough to enjoy experiences like this. Eltham Palace because it’s only ten minutes away from us. We’re very familiar with the beautiful grounds but I’m sure they will be very different and really magical when lit up. I’d like to go to Audley End because I grew up near there and would like to show my kids the area as well as the visit. I really fancy Eltham Palace- I am fascinated by medieval history, and love the idea of the time tunnel over the moat bridge, followed by mince pies and mulled wine. 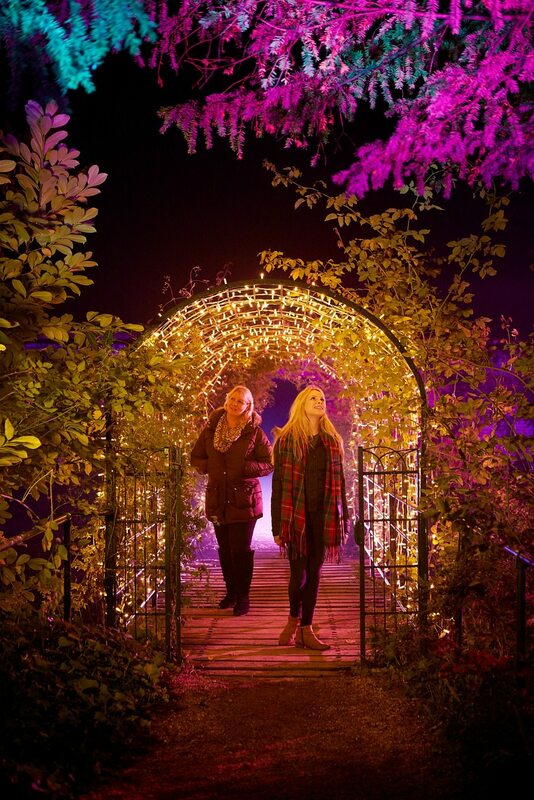 Enchanted Eltham Palace ..looks magical on the website. ENCHANTED AUDLEY END – it is my nearest venue and looks like it would be spectacular and something that we would all enjoy. Osborne, Isle of Wight. I visited this wonderful place as a child with my parents, and I’d love to go back with my husband. The added bonus of the illuminations and the traditional fairground would make it especially magical. This is exciting. I also dreamed to go in a place like this where I can have bond moments with my children. this is a great opportunity. I hope I win a ticket. lol.